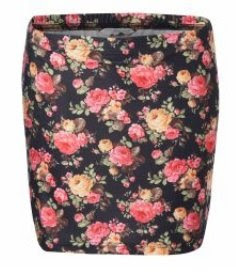 this gorgeous rose print skirt is £10 from new look and would go so well with a plain top and chunky necklace. 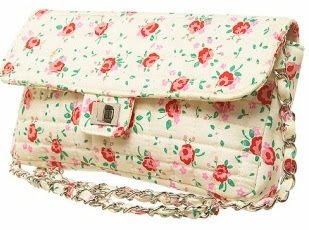 this stunning floral quilt fold over bag is £25 from topshop. 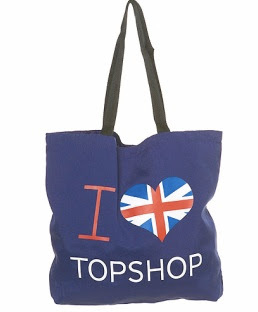 this ilovetopshop shopper is only £6 from topshop! 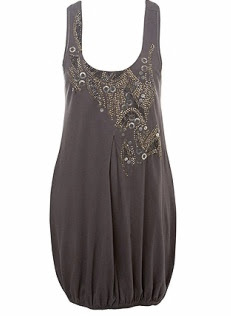 this is a stunning dress grey linear bead cami dress, £32 from miss selfridge. the detail is amazing. lovelovelove it. I love that skirt, and bag. I love to read entries from bloggers who are from the UK! Thankyou! You have just inspired me to go out and look for the same skirt in newlook. your fashion finds are fantastic! love that floral 2.55 inspiration bag! I want them all, especially the skirt and the bag! I love the floral bag! Great choices! The floral items are adorable but I'm lusting after that dress now. Love the beading on that! I want every one of these aswell! Especially that topshop bag. Topshop is my addiction. love all of those things :) i have so many things on my wishlist right now but i really gotta stop spending haha! i want everything! so cute! I love the first 2 items, I can't get enough of all things floral patterned! Really a nice skirt and bag too is good. I do love that bag, I have it myself.